Our dedicated team of professional YMCA Directors work year round to make your camp experience the best that it can be! We take pride in our long history and all of our traditions and are excited to make Hazen a part of your family. Denise Learned first came to Camp Hazen YMCA in 1971 as the daughter of staff members, Gene & Carol Phaneuf. On the summer staff since 1979, Denise was an Assistant Counselor, Counselor, Waterfront Director and Village Director. After graduating with a BS in Human Development and Family Relations from the University of CT, Denise joined the year-round staff at Hazen as Program Director for 5 years. She was Executive Director of the Shoreline Soup Kitchens for 7 years, while remaining involved with Hazen as a member of the Board of Directors. As her passion has always been camping, and specifically Camp Hazen, Denise rejoined the Hazen staff as Executive Director and CEO in 1999. 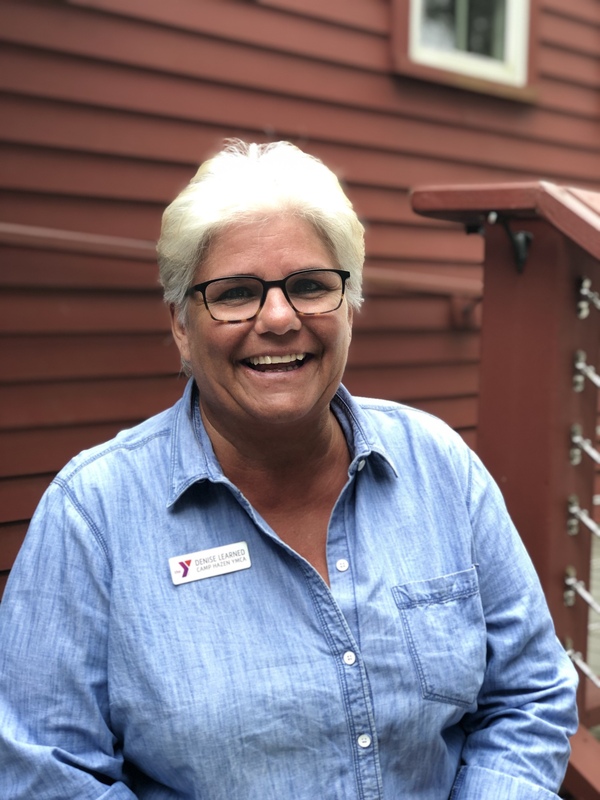 Denise is currently active as a member of the CT Alliance of YMCAs Public Policy Committee, and a member of the Alliance’s Strategic Planning Task Force; a member of the Board of Trustees of the Chester Historical Society; and a Trustee at Essex Savings Bank. Denise lives in Chester with her husband Michael, longtime Hazen alum and current Maintenance Director. Kath Davies’ first summer was in 1999, flying to the States for a summer of fun while studying to be a teacher in the UK. Little did she know it would turn in to a career. After graduating with a B. Ed from the University College of St. Mark and St. John, Plymouth, she was lucky enough to be offered an 18 month training visa through the YMCA to work at Hazen. During this time a position became available on the Professional Staff. Kath started out overseeing our Group Camping Programs and during the summers she had a great time running our Day Camp. These days, in addition to overseeing all programs at Hazen, she also works closely with our Food Service and Maintenance Departments. 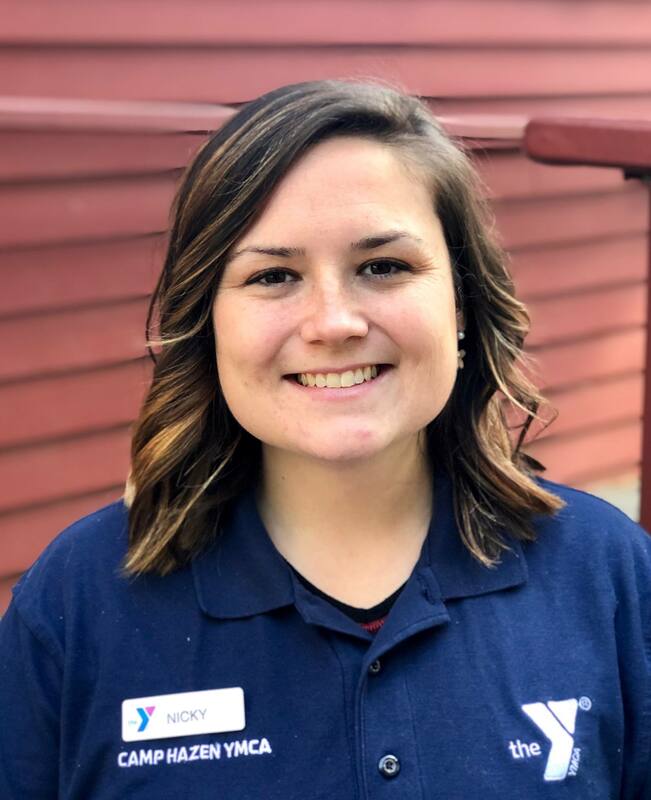 Kath particularly enjoys volunteering in the wider YMCA community, as she has been the chair of the CT Membership & Program Network and the Northeast YMCA Camp Conference and is currently on a sub-committee of the Y-USA Overnight Camp Task Force. Kath is also commissioned to serve on the Youth Camp Safety Advsory Council for the State of CT Office of Early Childhood. She also teaches several YMCA classes at Regional Training Events, including Day Camp Director and Introduction to Fiscal Management. Outside of work she likes to spend her time pretending to play golf and is an aspiring race car driver. 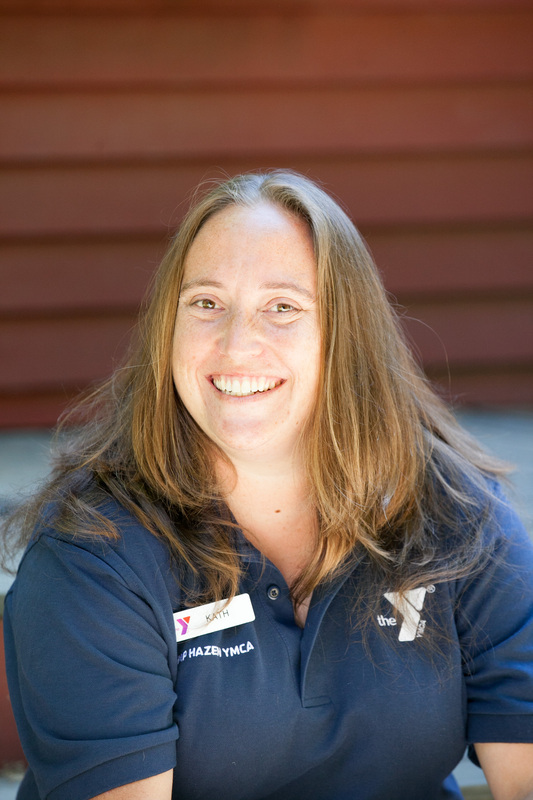 Alex is the Senior Program Director at Camp Hazen YMCA. He grew up at Hazen, first attending in 1994 and joining the staff in 2005. 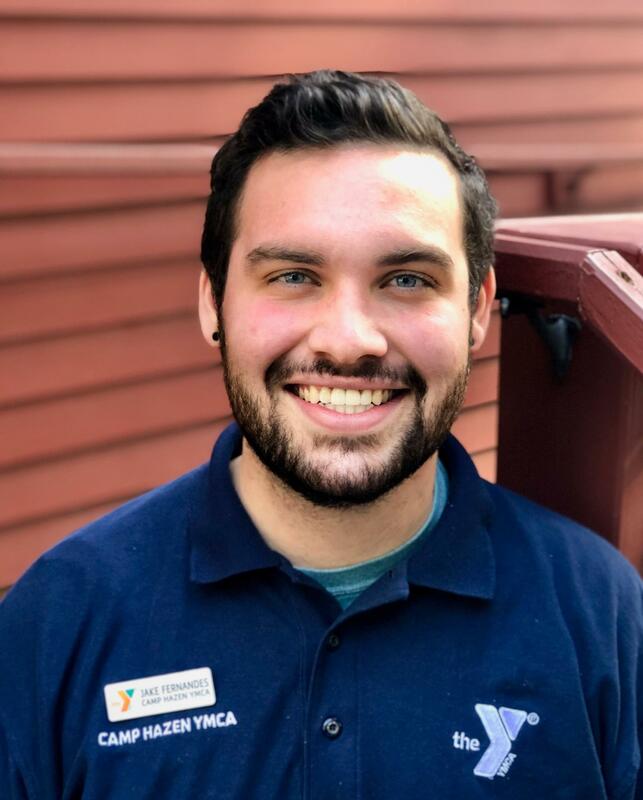 He worked in all aspects of the camp world as a cabin counselor and program instructor in both Hazen’s overnight and day camps before joining the summer leadership team in 2009. After graduating from the George Washington University with a BA in History and Religion, he accepted a year round position at Hazen. His current role includes overseeing parts of the year round youth and family camps, camp marketing, staff hiring and training, and summer specialized activities. 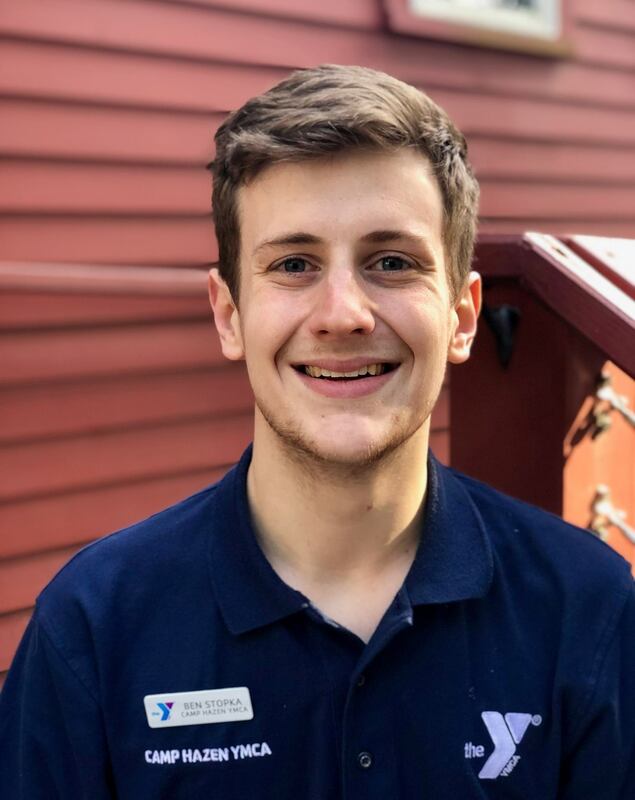 Alex is a Camp Yankee committee member and Vice-Chair for the Connecticut Y Network, a member of the Chester Winter Carnivale planning committe and volunteer at Chester Elementary School. When not at camp he can be found heading back to camp. Ben is a full blooded Hazenite starting as Day Camper in 2007. After 5 years in Overnight Camp Ben took part in our LEA program and then joined us in 2014 on staff for the first time as an Assistant Counselor. Ben worked through the ranks and has most recently spent the past two summers as our Boys Village Director. We are excited for Ben to be part of our Professional Staff team. His primary role will be to supervise our seasonal Village Director's and be the go guy to help our campers have the best time at Hazen. When Ben is busy preparing for the summer, he secretly enjoys star gazing and discovering new galaxies. Nicky is from Enfield, CT and is one of our Program Directors on the Year Round Staff. She graduated from the University of New Haven in 2014 with a degree in Communication. Nicky oversees our Summer Program Directors and leads our Vacation Days throughout the year. Nicky started out as one of our Overnight Cabin Counselors working in Creative Arts, she joined our Leadership Team as Creative Arts Director and in the summer of 2017 she was one of our LEA Directors. In her spare time she enjoys reading, playing sports and doing arts & crafts. Before joining us, Nicky worked in the radio industry, where she hosted her own country music show and was a panelist on a talk show. One thing to know about Nicky is that she loves cheesy jokes and riddles. Jake first summer at Hazen was in 2014. It was a summer of fun while he was at University, he returned each summer to work in Creative Arts, Quest and as part of our Leadership Team. Originally from just down the road in Westbrook, CT, Jake joined our professional staff in 2018. Jake holds a Bacholor of Science in Social Work from Salve Regina University, RI. While at University he enjoyed being part of StageFright theatre, now he is quite content with a nice walk on the beach collecting shells.